Titan Trade Payment – Funding Made Quick and Easy! We give prime importance to our clients’ satisfaction, that’s why we always ensure that we have everything polished from the actual trading up to our banking services. Deposit using your preferred method of payment. Find a selection of fiat currencies alongside cryptocurrency options. To this end, we have created a simple yet secure way to complete your Titan Trade banking transactions. Manage your financial transactions with total ease through our range of Titan Trade payment methods. All these methods are safe, simple and convenient to use, there’s no need for you to worry about cases of online theft and fraud. Once you have created your personal Titan Trade trading account, you can make your deposits via credit or debit cards, wire transfer and electronic wallets. For credit card users, we accept MasterCard and Visa, two of the most trusted and established payment processing networks in the world. For traders who don’t have cards or prefer not to use their credit cards in depositing funds, they have the option to use Moneybookers or Ukash. These intuitive payment services serve as your personal digital wallet and offer a much safer way to transact online as none of your personal details will be revealed. 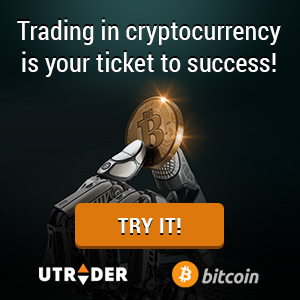 Meanwhile, if you choose to get into binary options trading using your cryptocurrency, Titan Trade gets you there without having to go through a lot of trouble. This is because the site acts as the do-it-all platform for all cryptocurrency users. You don’t have to look for a Bitcoin or Ethereum exchange. Simple see the list of payment processors that can accept and convert your digital coins. Wait a few minutes before the processing is complete. Voila! You can get into the binary options trading action then and there. Through our Titan Trade payment methods, depositing funds is quick, private and most importantly, secure. Funds will be visible in your trading account balance within minutes of the transaction being completed. Furthermore, all transactions are monitored and communicated using the most advanced digital encryption technology, ensuring that your financial details are safe. Our security extends to our payment processing so that you can rest easy and focus on what’s important to you: trading binary options. Should you encounter minor trouble or experience difficulty while making your Titan Trade payment, our friendly and multilingual specialists are on standby to offer professional assistance, 24 hours a day, 7 days a week. Feel free to contact them through online chat, e-mail or phone.